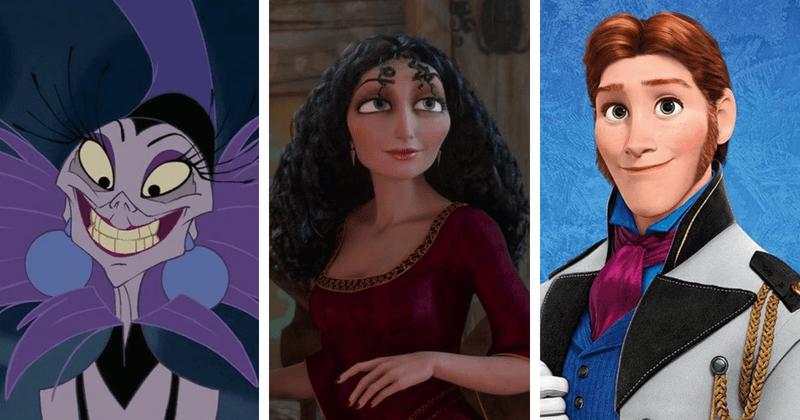 The villains in Disney movies often steal the show with their powerful personalities and endearing quirks, so which one are you? Disney has treated its villains as important characters in their own right, giving audiences plenty of material with which to relate to. The backstories and character development they go through establish them as centerpieces of the movies they haunt. Read on to fnd out what your worst qualities are as the Disney villain you are most like based on your zodiac sign. You get furious when you don't get your way and demand extreme measures to be taken in order to ensure that you are placated. You tend to be impulsive, extremely vociferous, and short-tempered, often lashing out in your anger before thinking things through. You often feel little remorse for your actions, as you can be ruthless when you want to. Manipulative, possessive, and stubbornly obsessive, you can be extremely hedonistic and driven by outward appearances and external beauty rather than the beauty that lies within. You may resort to deceit in order to get what you want, and your materialism makes you the greediest of them all, stopping at nothing to hoard your treasures. No one ever knows where they stand with you. You can be two-faced and filled with lies and deception, though there is still an element of honesty in the good side of yourself that you show to people. If you've fallen deep into the clutches of evil, then you are a master of spinning tales, playing on people's sympathy, and acting the victim just to get what you want. You are never satisfied with what you've got, stewing in your jealousy and bitterness at what you perceive is the world having dealt you a bad hand. You can also be narcissistic, justifying extreme measures in your quest to appease your frail yet massive ego. Your actions are driven by self-pity, and you will never feel satisfied despite all the havoc you wreak in your vengeance against the world. Vain and self-obsessed, you love being the center of attention, and you can be the life of the party and also the death of it with your need for constant approval and attention. You come across as a spoilt brat, used to getting your way, and throwing violent tantrums or resorting to extreme measures and threats if you are denied something you want. Cold, calculating, and ruthless, your morality and sense of rightness is off-kilter, making you the harbinger of a twisted justice set by a standard that shifts according to your whims and uncertainties. You are extremely self-righteous and stop and nothing to ensure that your ends are met, regardless of the wicked means by which they are achieved. You manage to maintain your poise and elegance even when your temper burns bright. Woe to anyone who crosses you because you will exact your vengeance on whoever dares to displease you in the most awe-inspiring way possible. You bring a sense of terrible beauty to your rank deeds, and your fits of rage can be quite an enthralling spectacle to witness. You burn with a jealous fury of anyone who threatens your place, and you feel personally threatened by harmless gestures. The vindictiveness with which you deal with your enemies is intense and driven by hatred, and you do not stop in your wicked schemes until whoever you hold a vendetta against is reduced to a blubbering mess at your feet. You are quite adventurous and willing to stake everything on larger-than-life ventures that often fail to come to fruition or suffer serious setbacks that a little foresight would have fixed. However, that doesn't stop you from trying to achieve your ends, no matter who gets hurt or what gets destroyed in the process. You act now and regret things later. You love to lord it over people and turn your nose up at even the slightest of infractions. You words are barbed and ooze a malicious poison that can wear down the sanity and confidence of the people you view with distaste. It is impossible to please you, yet you drive people crazy by forcing them to try and gleefully watching them fail again and again and again. You're manically quirky and sometimes strangely understanding, but you also think you're smarter than everyone else and have an unrealistically high opinion of yourself that leads you into foolish endeavors. You try to take control of everything because you don't trust anyone to run things better than and end up running things into the ground instead. You hate lifting a finger to contribute to any of the dirty work you've got people doing for you, because you are driven into a lethargic stupor by the overwhelmingly negative emotions you're feeling at any time. Whether it's intense sadness and misery or panic-inducing fear, you tend to let your emotions get the best of you and end up taking them out on innocent people around you.